The Inksupply.com 1400 CFS system offers substantial savings over OEM inks. Our handmade system that is manufactured in our Michigan based facility offers superior quality compared to flimsy "CIS" systems made else-where. 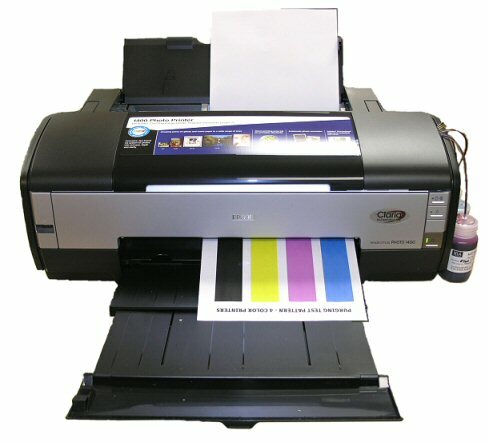 The Epson 1400 has been a brilliant replacement to its predecessor the Epson 1280 series of printers. This printer coupled with our D2 Claria equivalent inks and continuous flow system is great for any user looking for an economical way to reproduce an abundance of prints. D2 Inksupply inks are guaranteed to produce the highest quality color matching and brilliance. The CFS also includes chips that will reset automatically upon reseating the cartridges once the ink levels dip below the 10% level on the ink status monitor. Buy 10+ for $22.80 each.